To go along with their throwback musical vibe, The Secret Sisters have decided to do a little vintage style promotional marketing as well. Their debut album came out this past Tuesday and they commemorated the event by doing an in-store concert at the Wal-Mart in their hometown of Muscle Shoals, Alabama and one here just a little south of Nashville. Although they didn’t have any amplification and they were awkwardly placed in a section usually reserved for women’s clothing, The Secret Sisters immediately commanded the space with their humble likeableness and their amazing harmonies. Our closeness to the cash registers and the general sounds of the store required you to lean in just a little to hear them better, but the extra concentration was greatly rewarded by Laura and Lydia’s musical offerings. They were positioned in a high traffic area and it was really awesome to see head-down, focused shoppers stop what they were doing to listen to the pure talent and musicianship that was on display. 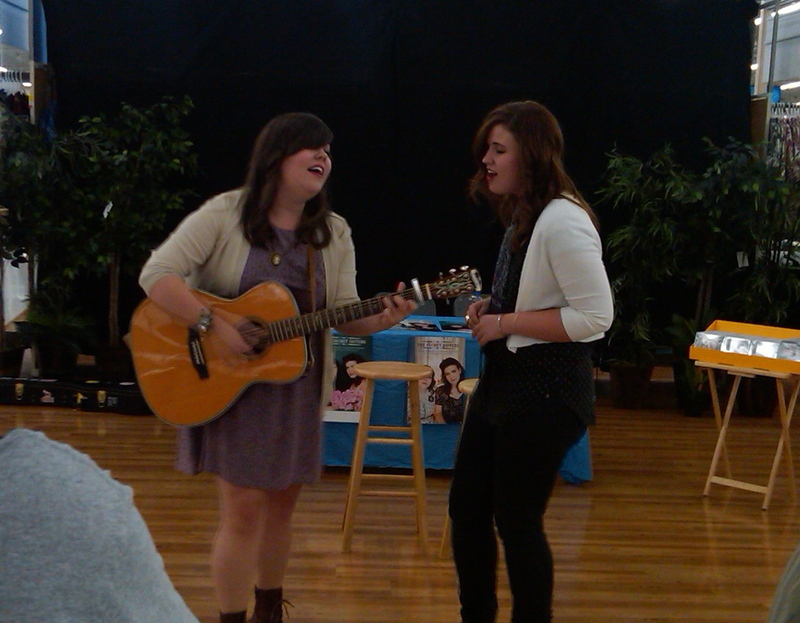 The girls started off their short set by singing “The One I Love Is Gone” with Lydia on acoustic guitar. Picking such a harmony-rich duet to kick things off was a wise choice as everyone was instantly sucked in. 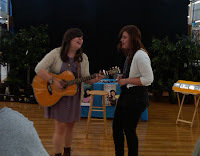 After the first song, the girls thanked everyone for coming, scooted a little closer to the crowd, and Lydia handed off the guitar to Laura for the rest of the songs. We were then treated to a few covers that aren’t on their album, Brandi Carlile’s “Same Ol’ You,” Willie Nelson’s “Blue Eyes Crying In The Rain,” “Tonight You Belong To Me” (most famously done by Steve Martin and Bernadette Peters in “The Jerk”) and Hank Williams’ “Your Cheating Heart.” They told us they chose the Willie Nelson song because just earlier that day they had been invited to do a run of shows with him and they were understandably super excited about it. They closed out with “Do You Love An Apple,” another stellar duet from the album that is heavy on the heavenly harmonies. One day when I get to see The Secret Sisters have the entire audience hanging on to their every vocal line at a place like The Ryman, I’ll remember this beautifully simplistic performance and think about how lucky I was to be able to see and hear them in such a special, close up setting.